The web is growing at a speed that you can never imagine. The information being poured into this infinite space is monstrous. You will need to carefully create a marketing and social plan using effective online tools that will help you to use social media on your website. As people move on the internet alone or as a community, they “like”, “share” or “comment” or even “follow” something interesting on a website. This opportunity is provided via a social media. Social site are like the famous ‘Facebook’ and ‘Twitter’ used by the “happening” people and bookmarking social sites such as Digg and StumbleUpon, photo sharing sites such as Flickr and Pinterest, blogging sites such as Blogger and WordPress, discussion sites in the form of various online forums, video sites like You Tube, online deals sites and many more. It is good to link social media onto your site to connect these various options with the virtual reality of your brand – your website! Thus, you can connect social media profiles from the World Wide Web to your website using these social media pins and more. This allows your visitors/clients to connect with you instantly. This method goes around and connects people very fast and it is usually free or low cost. Does your business need this social media? The total effect on buyers purchase interest via Facebook is 48%. 66% of the worlds population use social media. 15% of Twitter users have purchased something based on details from Twitter. 51% of top companies use social sharing buttons on their websites. Social media plays an important role in your website’s search optimisation, especially after search quality-based algorithmic updates like Panda and Penguin. 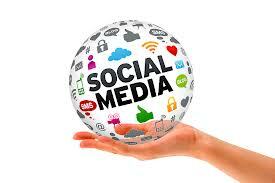 Social signals have now become increasingly important towards improving your website’s search ranking. As a web business owner, however, you need to keep in mind that social media is also an integral part of your site’s user experience and retention. When your website provides social media buttons, your users need not leave your site to like or recommend it. You can use icons of popular social media sites such as Facebook, Twitter, Google+, LinkedIn, Tumblr, Pinterest, StumbleUpon, etc. They can be placed at the top, left, right or bottom of the web page content; such as a blog, video or image. Take a look at some sample websites and notice how these icons have been used. They can be effective in reaching out to your users and more. These allow users to stay on the site and share the content on their social media profiles with just a click and without leaving the site. Site visitors can choose interesting content to share, click on the social share button and easily post an update to their social media profiles. Do not make the buttons too small or too big. Ideally, they must not draw too much attention but still be easy to find. The position of the social share buttons is one of the factors that determines effective usability of your site. Keep the share icons in a manner that users need not scroll to find them. If you have a blog on your site, you could place them at the bottom of the blog so that the reader shares the blog or keep them floating so that they are seen even when the page is scrolled. Place the share buttons only if it makes sense to share. For instance, if you have an e-commerce website and your users are buying a product, do not prompt them to share the product image or content because at that point they only need to complete their purchase. You could include a share button at the end of the transaction, i.e., the check-out page, where your users would be more likely to spread the word. This increases user activity and reference marketing. It brings in social activity to your site for better search rankings. You may have noticed that many of the most popular sites on the web use social login. Having social login alongside a regular login on your website gives the user plenty of options to choose from. This is a good approach in terms of your website’s usability as some users will find it easier to use an existing social login rather than create an entirely new one. This allows the user to give a comment or feedback. It ensures user activity on the site. It allows users to comment with their own social media profiles. Increases Social activity to your site. Using their personal profile to comment discourages users from vulgar comments. If you were to look at search results for your keyword, which result really catches your eye? Generally, it would be the one with the picture of the author in it. Such search results are achieved by creating authorship markup with Google + and adding it to your blogs, articles and other content. It gives the content a human touch, which makes readers select your article over others. Its advisable to add an activity feed on your website that describes every recent action that has taken place on your website by your site visitors. There are many resources to create your own activity streams on your website, such as Gigya or Atlassian, or you can embed social activity feeds from Facebook and Twitter on your site, if you have an active Facebook and Twitter page. This embedding does not require a web developer’s expertise and is very easy to do. Subscribe button lets users see who has subscribed to your page. Recommendation Box is based on popularly shared content. The users on your site are shown the content that is highly recommended for further reading and the number of people who have shared and liked the recommended content. Like Box longer version shows the posts liked on the page. The shorter version shows faces of Facebook users that like your page. Embedded Tweets uses a single line of code provided by Twitter developers by which you can embed your tweets on your website. Linkedin Insider Company Plugin lets you show off your company’s strength with staff photos and their recommendations in a little box on your website. Linkedin Recommendations Plugin is useful for increasing the website’s credibility. Pinterest RSS widget is a feature useful for sites that have a lot of images (such as a wedding photography site or online apparel store). All the images you pinned on Pinterest can be made visible to your site visitors. With a full-fledged social media integrated website you will have higher user engagement and increased social media activity on both your website and your brand pages as a whole. 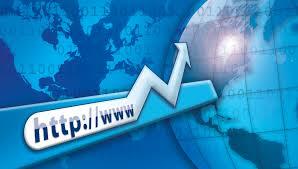 You can test this in tools used for website rankings and reviews for Free. These social media integration tools and resources discussed can make your website the main social meeting point for user interaction. It will drive maximum traffic to your site.